Mountain Roads Recordings of Bristol, TN announced today that they have selected Susi Lawson as the official photographer for the record label. 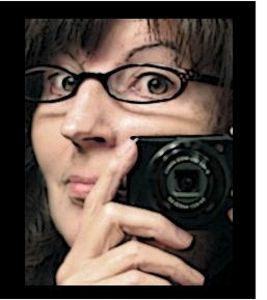 Susi is an award-winning freelance photographer, artist, digital artist, instructor, and magazine writer and the creator of Susi Lawson Fine Art Photography in Wytheville, Virginia. Mountain Roads Recordings focuses on bluegrass, traditional, mountain and old-time music. 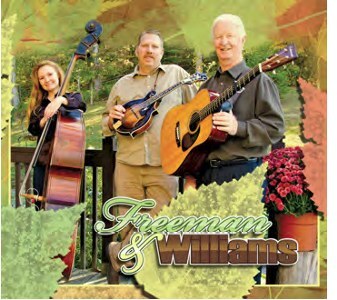 Freeman & Williams, a new fresh sound from award-winning veteran performers, Jeanette Williams, Johnny Williams and Scott Freeman. This trio comes together with an arsenal of talent... all are accomplished musicians, vocalists and songwriters and bring these talents together to create magical sounds that move from old-time straight through bluegrass to old-time country music. Each artist brings tremendous talent to the table but when combined, the result is incredible. The group has completed their first recording for Mountain Roads Recordings, a selftitled release, Freeman & Williams, that is expected to be released on February 7th, 2012. This album will showcase the group with original creations along with some well-known favorites and some not so well known classics. 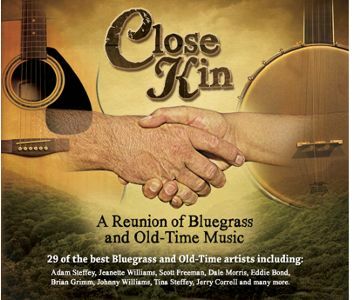 Mountain Roads Recordings is extremely excited to announce the highly acclaimed recorded project, Close Kin, A Reunion of Bluegrass & Old-Time Music, will be featured in a live performance by the artists for a television taping of the highly popular PBS Television Series, Song of the Mountains. Taping of the show will be 7:00 pm March 3, 2012 at the historic Lincoln Theater in Marion, Virginia. Along with the performance of the Close Kin project, guests will also be able to enjoy the music of Rodney Dillard, from the original Dillard Family (The Darlings from the Andy Griffith show) and Blue Ridge Tradition.